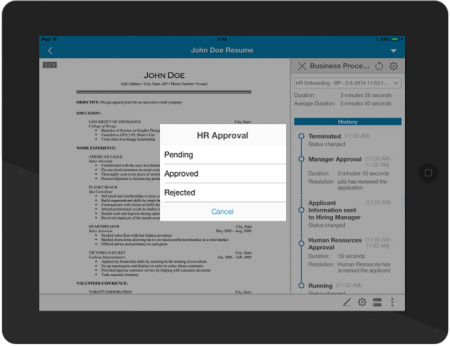 Create one view for all new hire documents and tasks. Eliminate manual follow-ups with one portal for all personnel actions. Want to know more? 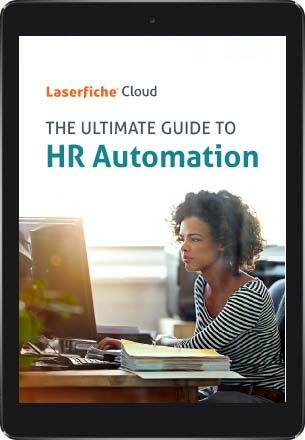 Request a demo of Laserfiche for HR processes today. Instantly access employee documents in human capital management systems. Want to learn more about HR automation? Download the free guide, which includes the descriptions of automated HR tasks, interviews with experts in the field and a whole lot more.